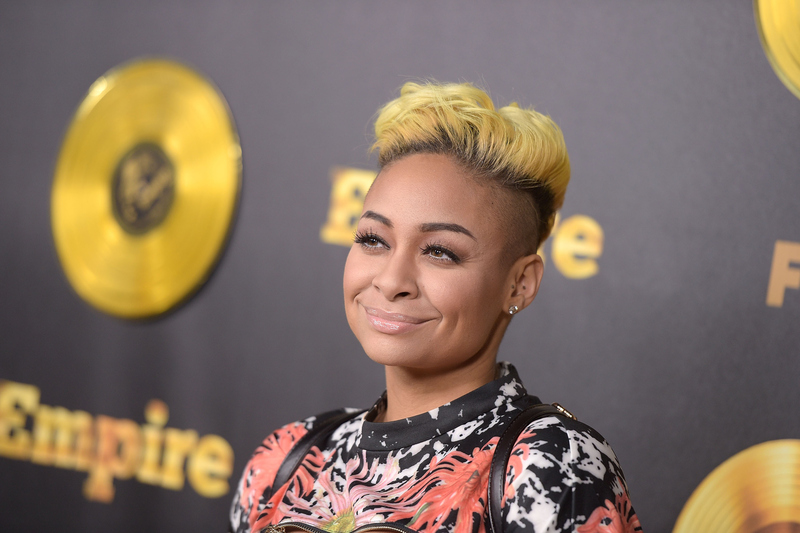 It appears as though Raven-Symoné is back for good. Those who don't obsessively comb the Internet for Empire spoilers might have been shocked to see the former Disney star show up as Olivia — spoiler — a woman that Jamal slept with in the past who claimed to be there to introduce him to his own now toddler aged daughter. However, that's not the only place you'll get to see her. Apparently, Raven-Symoné will also appear on black-ish in the role of Rhonda, Andre's gay sister, for an upcoming episode later this season called, "Please Don't Ask, Please Don't Tell." That's right. She's going from a massively popular FOX show to a massively popular ABC show... which means she's staging a television takeover, and we are all in the midst of the Raven-Symonaissance. Which, quite honestly, I am OK with because That's So Raven was one of my favorite shows growing up. If Raven-Symoné wants to invade all of my favorite shows, I wouldn't look upon it as an actual invasion. I would look upon it as a welcome burst of nostalgia. In fact, I'm already looking ahead to which over shows she could squeeze her way into. I'll even write the role she could play myself if these networks would only agree to make this happen. Role: Raven-Symoné enters as the sister of Roman Zazo (Alano Miller), who comes to join her other brother Aaron (also Alano Miller) at The Marbella. However, unbeknownst to everyone, Raven-Symoné has been in cahoots with Sin Rostro this entire time and has shown up to be the criminal's Marbella spy. Role: Since we know hardly anything about Sophia (Kiersey Clemons) at this point, Raven-Symoné enters as Sophia's older sister who drops by to visit the loft she and Lindy (Victoria Justice) share. However, she is revealed to be at odds with Sophia and Lindy both — because it was somehow her fault that Lindy got caught by the police and arrested prior to the start of the series. Role: Raven-Symoné plays a new member of the team, forcing the Agents of Not-S.H.I.E.L.D. to go through the exact same trusting process with her as they did with Skye (Chloe Bennet). However, she reveals to Skye and Skye alone that she, too, is an Inhuman, and that she joined the team in order to help Skye explore and control her burgeoning powers. Since this is a mentorship role, Raven-Symoné's onscreen death is basically guaranteed. Role: Raven-Symoné enters as one of the Grounders, now that the war on earth has expanded so far beyond black and white that basically everyone is living in shades of grey at this point. Okay, so I just want to see her in the braids and the make up. Is that so wrong? Role: I know I'm not the only one who has noticed that, despite not seeming to like each other very much, the Keating Five only hang out with each other and Asher (Matt McGorry). Raven-Symoné thus enters as a friend of Michaela's (Aja Naomi King) or Laurel's (Karla Souza), who is in the same Keating class with them, but whose hands aren't stained with anyone else's blood... or are they? Role: The lack of minority characters on such a strongly feminist show is absolutely staggering, and, every time it looks like we're going to get one, they quickly exit the plot. Raven-Symoné arrives, perhaps as the daughter of Rapunzel whose mother had a history with Prince Charming (Josh Dallas), and then stays in Storybrooke to become an integral member of the plot and bring some much needed diversity. Is that too much to ask?